I'm so happy with this two amazing books. I found them in a local auction site. 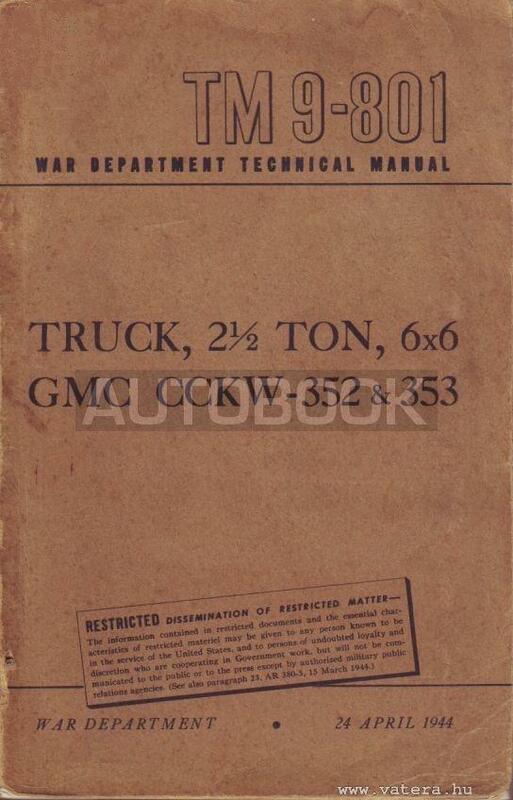 The GMC technical manual is a fat piece, with a lot of information on 480 pages! 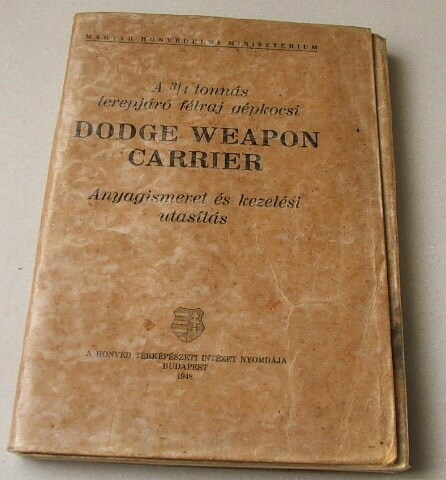 The hungaryan languaged Dodge WC users manual is a really rare bird, printed in 1948. 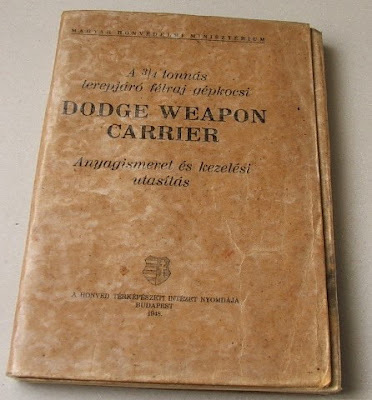 There were a short period in the history of hungaryan military vehicles, when the army used wartime american Jeeps and trucks. There is a story, what tell all of them were salvaged/crushed, because theyr origin wasn't respectable in that time. I heard about hungaryan issued manulas many years before, but never seen any until this day. 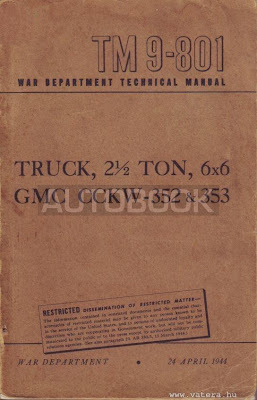 The GMC book is used by the hungaryan mecahnics also, I think. I trying to collect period pictures also, later will show some.